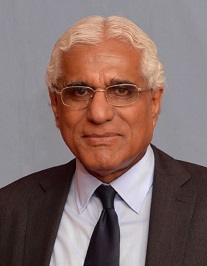 Sri Lanka’s Central Bank Governor Indrajith Coomaraswamy on Wednesday said that the nearly two-month long political crisis had an adverse impact on the country’s economy. President Maithripala Sirisena’s dramatic move on October 26 to sack Prime Minister Ranil Wickremesinghe and install former strongman Mahinda Rajapaksa in his place following differences over policy issues, left the country without a functioning government for nearly two months. However, a Supreme court verdict forced Sirisena to reinstate Wickremesinghe. Due to the political crisis, the big three credit rating agencies — Fitch Ratings, Standard & Poor’s (S&P) and Moody’s — downgraded Sri Lanka’s sovereign rating. “Political developments, compounded by concerns regarding fiscal slippage in the lead up to the elections, were significant causal factors in the decisions of all three major rating agencies to downgrade Sri Lanka’s sovereign ratings. This, in turn, negatively affected investor confidence,” Coomaraswamy said while presenting the Central Bank’s economic road map for 2019. “In the short term, a significant impact on the economy,” he said, adding that it was difficult to quantify the economic damage. Coomaraswamy said the IMF had held back discussions on Lanka’s next loan tranche due to the political crisis. After completion of the IMF’s fifth review Lanka would expect to receive a sixth tranche of about USD 250 million. The total loan was expected to have been disbursed with a seventh tranche by mid-2019. Sri Lanka is hoping to complete a 3-year programme with the IMF this year. 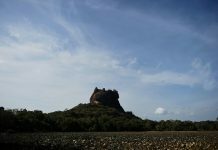 Coomaraswamy said he was hoping for a better economic growth in 2019 than the modest 3 per cent recorded in 2018.